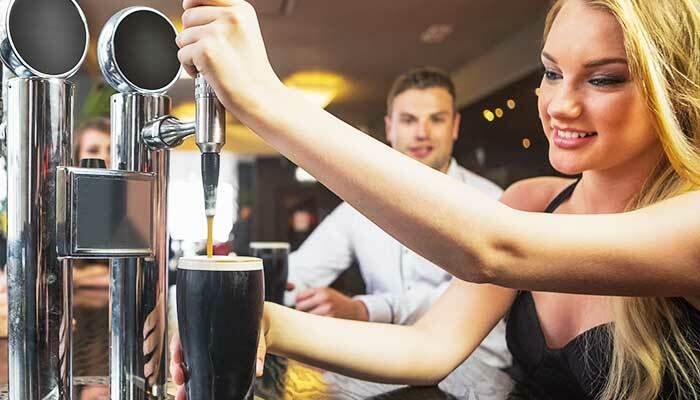 The Catch Training one day face to face ‘Provide Responsible Service of Alcohol’ (RSA) training course provides hotel, bar and club staff with the knowledge and awareness required to responsibly sell, serve and supply alcohol within licensed venues in NSW. Participants who successfully complete this course will receive an interim RSA certificate that allows them to work immediately in licensed venues across NSW (except for the Kings Cross sector in Sydney. You will need to wait until you have your photo-card). You will need to present the interim certificate and 100 points of identification at a NSW Service Centre or RMS Office where you will be able to obtain your photo-card. You can look up your closest location with the Service NSW centre locator. The fee for the photo-card is included in your CATCH training fee, therefore you will have nothing further to pay to collect your photo-card. Your card is valid for five years and serves as proof that you have completed the necessary course to work in a licensed venue. Successful participants will receive a National Statement of Attainment in ‘SITHFAB002 Provide Responsible Service of Alcohol’ as part of SIT20213 Certificate II in Hospitality. There are no specified entry requirements for this training program, however you must be 18 years of age to work in a licensed venue in NSW. How can you responsibly serve alcohol to prevent intoxication? To pass the Responsible Service of Alcohol course you will need to complete a written and practical assessment. However no pre-course revision is required as your Catch trainer will teach you everything you need to know on the day. Ensure you read our Pre-Course Information Responsible Service of Alcohol (RSA). If applicable and our Student Handbook before booking as it contains our booking conditions.